Rotary Club of Orange Daybreak: Wednesday 06.45 a.m. Waratah Sports Club. Rotary Club of Orange North: Thursday 6.30 pm Orange Ex-Services Club. 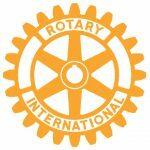 Rotary Club of Blayney: 1st and 3rd Wednesdays 6.00 pm Blayney Bowling Club. Copyright © 2018 Rotary Club of Orange Inc. All Rights Reserved.